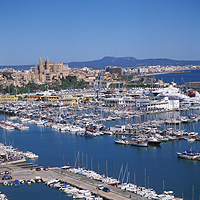 If you would like to sell/rent your berth on Mallorca/Majorca or anywhere in the Mediterranean Sea then A.M.L. is more than qualified to help you. As a result of our many years of experience in the Mooring Market, we have a large amount of clients demanding berths. One of our many services is a free valuation of your berth. Once you have entrusted A.M.L. with the sale/rent of your berth we will make every effort towards selling your berth and approach this responsibility in an efficient and professional manner. We have an effective marketing plan that incorporates various publicity tools to advertise and promote your mooring. Please fill in the Sales Form and we will contact you shortly.